Deep carpet cleaning for your home is part of giving a deep cleaning for the flooring in your own household. From carpets to area rugs, a good rinse is important to keep your carpets brand new away from bacteria and dust. Over time, your carpet materials will be exposed to pet odor, cigarette smoke, food stains, and other unclean items that could be a threat to your health in the long term. Deep carpet cleaning is one of the solutions to address this uncleanly issue and keeps your carpet looking brand new and well maintained. 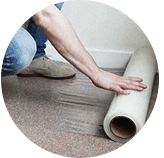 Should you need your carpet steamed, regularly cleaned, deep clean or have a stain removed, our professional team will be the one to make sure that your carpet and rugs are well taken care of. Our services cover from carpet, rugs, mattress, upholstery and car interior cleaning. You can be rest assured that we can solve your fabric problem. Our company offers deep carpet cleaning throughout Malaysia area; Kuala Lumpur, Selangor, Malacca, Ipoh, Johor, Penang & Pahang. If you have any enquiries regarding your carpet/ rug solution, do not hesitate to contact us for an onsite visit. 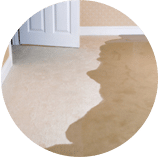 Our customer service team will reply to your request within a few working hours to find out more and discuss further about the deep carpet cleaning service that you require. Subsequently, we will issue you a quotation and an invoice for the deep carpet cleaning service. 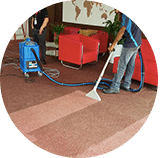 Our deep carpet cleaning service is available in Peninsula Malaysia from Kuala Lumpur, Selangor, Ipoh, Johor, Malacca and Penang. Speak to our team to enquire more about the deep carpet cleaning service that we provide in your area. I have a special request for the deep carpet cleaning service, can this be done? 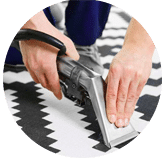 We understand that sometimes our customer have special requests for deep carpet cleaning service with regards to timing and other matters such as stain removal. 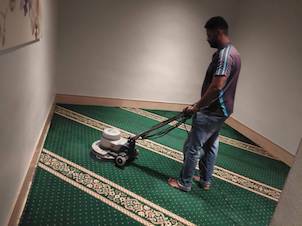 In this scenario, you can contact our customer representative team at 017-232-6491 to discuss your deep carpet cleaning request.